Ready to begin or advance your career in aviation? There are plenty of opportunities and many paths to follow. The aviation degree programs at Everglades University are designed to accommodate those who are new to the aviation field as well as seasoned professionals who want to grow their career. Regardless of your starting point, our aviation management programs can prepare you for many diverse job opportunities in this exciting field. The Bachelor of Science Degree with a major in Aviation/Aerospace from Everglades University has seven concentrations, so you can specialize in your area of interest and be more competitive as you apply for specific jobs. You’ll have the benefit of a well-rounded general education to build the communication and analytical skills needed for success in this field. For those already working in aviation or those with FAA certifications, you’ll gain advanced knowledge and practical skills in aviation to position yourself for more specialized, higher-level positions. 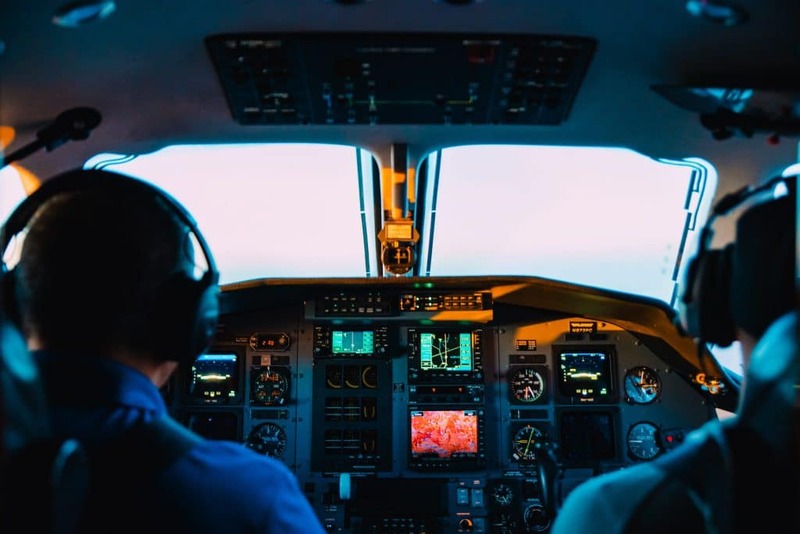 Let’s discuss each of the concentrations first, then we’ll outline some of the careers you can pursue after obtaining your aviation degree from Everglades University. There’s a reason flying is safer than driving. There are thousands of aviation safety professionals making sure passengers arrive at their destination without an issue. The Aviation Safety concentration provides a set of specialized safety courses, such as Federal Aviation Regulations, Air Traffic Control, Aviation Safety Programs, Emergency Preparedness and Response, Introduction to Crisis and Disaster Management, and Terrorism and Homeland Security. For those seeking a managerial or administrative role within the aviation industry, the Management concentration includes courses such as Accounting Principles I & II, Managerial Accounting and Financial Management, Airport Management, Relationship Management, and HR Management. Security is a critical element of aviation operations, especially in today’s high-risk environment. The Aviation Security concentration focuses on the detection, response, and prevention practices within aviation to avoid loss of life and property and maintain the safe flow of passengers and cargo. Specialized courses include Introduction to Aviation Security, Airport Security, Corporate Security, National Security Issues and Terrorism, Counterterrorism and Aviation, and Aviation and Airport Security. Unmanned aerial systems (UAS or drones, as they’re commonly called) have created a growing job market with great potential. The UAS concentration combines elements of operations and a strong aviation foundation. Courses include UAS Fundamentals, UAS Regulations, UAS Sensing Systems, UAS Robotics and Software, UAS Special Topics, and UAS Global and Industrial Applications. The efficient operation of an airport requires many skill sets and strong management. The Airport Operations Management concentration is designed for those who are seeking a position (or who already work) with commercial airlines, corporate flight departments, cargo operations, or for the airport authority. Specialized coursework includes Air Cargo, General Aviation Marketing Management, Airport Management, Operations Management, International Business, and Global Strategy and Policy. Note: Only those students holding an FAA Commercial Instrument Multi-engine pilot certificate, or above, may enroll in this degree program. Pilots who want to advance their career may want to pursue the Flight Operations concentration. This is for those holding pilot credentials with at least the commercial instrument multi-engine rating. If you intend to fly for commercial airlines or for the corporate/private sector, this concentration would be appropriate. Specialized courses include Air Traffic Control, Aviation Meteorology, Physiology of Flight, Aerodynamics, Aircraft Engines, and Aircraft Systems. If you’re working in aviation maintenance and want to capitalize on your Airframe and Powerplant (A&P) credentials for greater salary potential, this concentration is ideal. Courses include Aircraft Engines, Aircraft Systems, Aviation Maintenance Management, Macroeconomics, Principles of Supervision, and Operations Management. Designed for aviation professionals, the Master’s Degree in Aviation Science offers a rigorous, broad-based curriculum. Students will complete technical aviation coursework that includes intensive analysis of airway transportation systems, airport operations, aerospace communication systems, aerospace logistics, aircraft simulation, advanced crew resource management procedures, aerospace systems safety, and advanced security and safety program management. 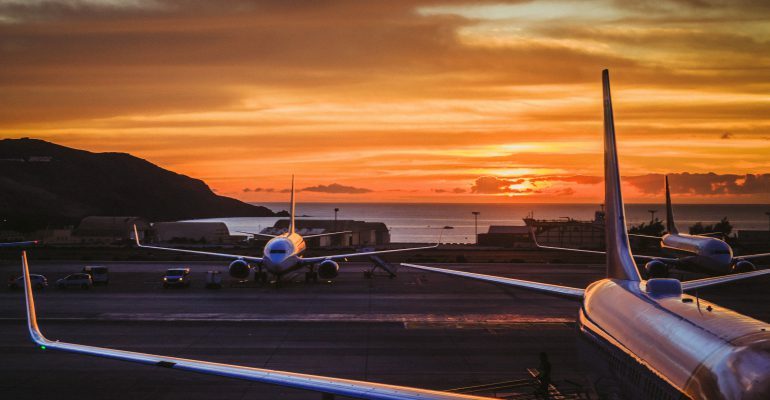 The aviation master’s degree can boost your lifetime earnings potential by demonstrating your commitment to the advancement of the aviation industry. Like the bachelor’s degree, you can choose from several concentrations. They include Business Administration, Aviation Operations Management, or Aviation Security. Air traffic controllers direct each aircraft efficiently to minimize delays. They manage the flow of planes into and out of the airport airspace, guide pilots during takeoff and landing, and monitor aircraft as they travel through the skies. According to the US Bureau of Labor Statistics (BLS), the median annual wage for air traffic control specialists was $124,540 in 2017. While the BA in Aviation/Aerospace will prepare students for this position, additional training is required by the Federal Aviation Administration (FAA). Aviation Safety Inspectors make sure the aircraft and aircraft systems are safe to fly. They ensure the pilot and crew are competent and monitor the safety of aviation facilities, equipment, and procedures. Like the Air Traffic Control Specialists, the BA degree will prepare students for this position, but additional training is required by the FAA. According to FederalPay.org, Aviation Safety Inspectors had a median annual wage of $116,576 in 2017. To keep an airplane in operating condition, aircraft and avionics equipment mechanics and technicians perform scheduled maintenance, make repairs, and complete inspections. They must follow detailed regulations set by the FAA that dictate maintenance schedules for different operations. Airframe and Powerplant (A&P) mechanics are certified generalist mechanics who can independently perform many maintenance and alteration tasks on aircraft. According to BLS, the median annual wage for these jobs was $61,240 in 2017. An aviation manager ensures that an airport and/or its departments run efficiently and safely while overseeing the hiring and management of airport staff and compliance with local, state, and federal rules and regulations. The American Association of Airport Executives (AAAE) maintains a third-party certification for aviation managers. According to AAAE and Payscale, the median annual salary is $107,346 as of 2015. This varies quite a bit based on the size and location of the airport. This position involves managing daily airport operations, performing inspections, and compliance audits. The Specialist works with local and federal agencies like Visible and Intermodal Prevention and Response (VIPR), Transportation Security Administration, and the Department of Homeland Security. Depending on the level of experience, the size of the airport, and location, the salary is comparable to the Aviation Manager above. The drone pilot manages flight operations, technology, and human resources for commercial unmanned vehicles or fleets to complete tasks, which could range from land surveys to infrastructure inspection to film production. To work in this field, you’ll need a certification from the FAA. As a relatively new career with a broad range of applications, the US Bureau of Labor Statistics has not yet monitored this job’s average salary. However, MarketWatch reports that pilots are making upwards of $100,000 per year. According to the Federal Aviation Administration (FAA), U.S. regulators expect the number of commercial drones and people flying them to quadruple over the next five years. An aviation degree is a smart investment in your future. If you’re excited to explore the possibilities in the field of aviation, we would love to speak with you. Contact Everglades University to learn more.